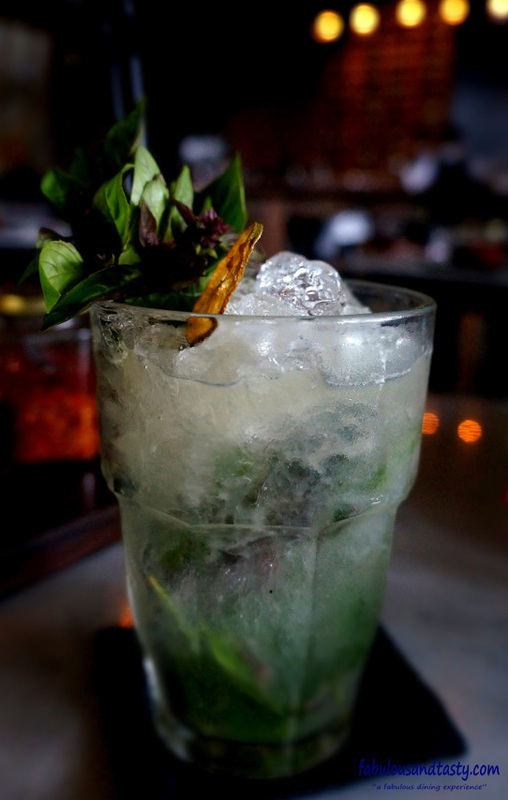 Sister restaurant to the famed Sarong is Mamasan, located at the top end of eat street in trendy Seminyak. Walking into the cavernous restaurant, we were quickly ushered upstairs for pre-dinner drinks at the cocktail bar. A substantial and impressive drinks list and cocktail menu soon had us front and center watching as the cocktail masters doing their thing. Well trained and highly experienced cocktail waiters flashed their skills and turned out the most sumptuous of cocktails. I could have sat their all night if it wasn’t for a grumbling hungry stomach. Casual diners upstairs, but more formal downstairs, we were again heading a long way down the stairs to the spectacular dining room, packed with excited and noisy diners. 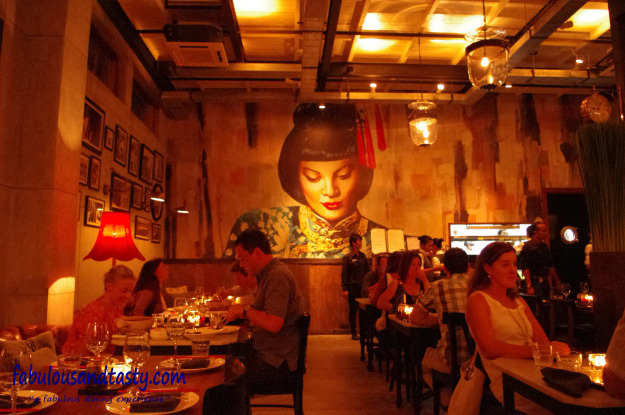 Our host showed us to a large table against the side wall under the watchful eye of a huge painting on the wall that is, Mamasan. The atmosphere is warm, red and totally Chinese. Not surprisingly, the new menu is very Chinese too with specialties like steamed dumplings, drunken chicken and some awesome kway teow noodles. Not forgetting we are in Asia, there is plenty of other cuisines to choose from. Diners are always encouraged to share and with the small dishes, there is plenty to try and savour. Salt and pepper crispy soft shell jam wiith nam jim, steamed dumplings of local fresh snapper with chilli and black bean oil, lamb and pumpkin potstickers to name but a few. Char sui pork and 5-spice sauce coupled with the famous drunken chicken in black vinegar is an absolute must try. Soon it was time to change cuisine, and as always its hard to go past a good Rendang or slow braised beef ribs. An excellent accompaniment was the roti canai, light, crispy flaky and just way too small ! 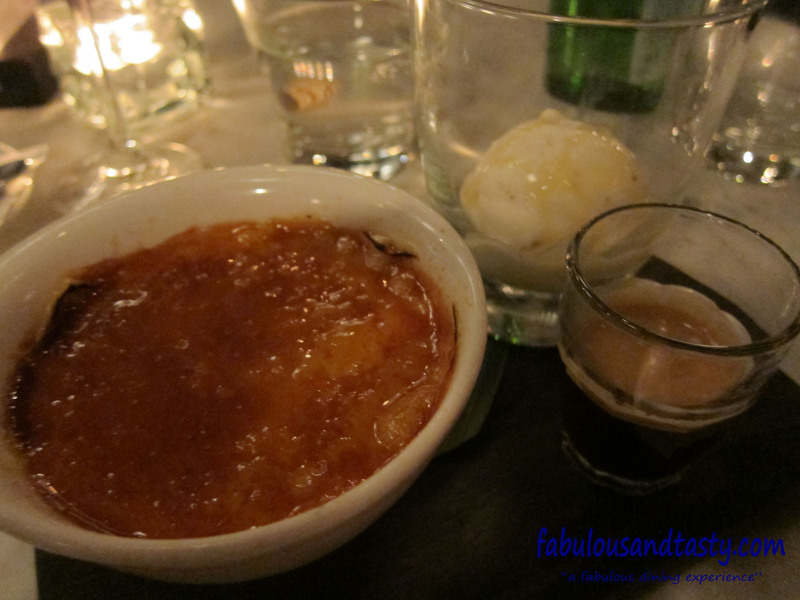 Last but not least, a serious sized creme brulee and espresso affogato. Not for the feint hearted, this was a meal in itself. Without a doubt, Mamasan get a double thumbs up and dare i say, for me at least 5/5 ! Mmm sweets and affogato got my attention but isagenix don’t seem to include them in the daily menu.